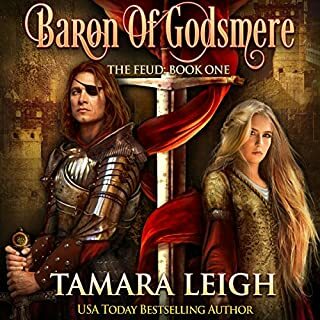 The Unveiling and The Yielding, the first two books in the Age of Faith series, introduced readers to the formidable Wulfrith family during Duke Henry's battle for England's throne and his succession. Now that Henry wears the crown, he is more determined than ever to bring the Wulfriths to heel. Lady Gaenor Wulfrith is a woman scorned. And King Henry's pawn. After three broken betrothals, she is ordered to wed her family's enemy, a man she has never met and has good reason to fear. 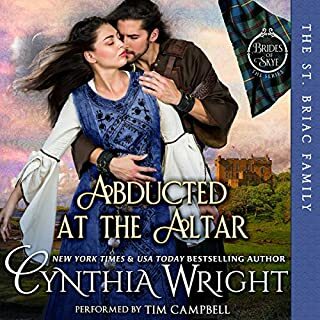 Faced with the prospect of an abusive marriage that will surely turn worse when her sin is revealed, she flees her family's home with the aid of a knight - a man who could prove her ruin. Christian Lavonne, the only remaining heir to the barony of Abingdale, has thrown off his monk's robes-and God - to minister his lands. 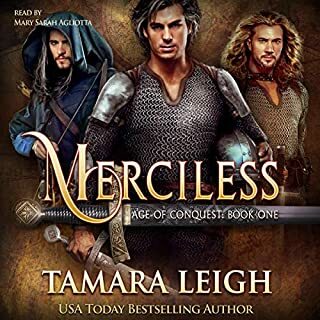 Determined to end the devastation wrought by his family's feud with the Wulfriths, he agrees to marry his enemy's sister, a woman no man seems to want. 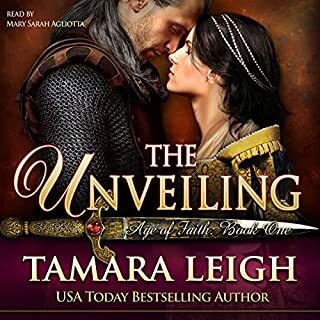 When he learns she has fled with a knight who has broken fealty with the Wulfriths, he pursues her, knowing that when they meet his own sin will be revealed and he will be as much in need of redemption as the woman who may carry another man's child. I love this writer and narrator! The story line and suspense of this series is fantastic. I also adore how she had intwined love, faith, and romance with suspense, adventure, and battles. The minute I have finished each book I jump to buy this next in the series. Great job. Headed for the forth book in a week. Wonderful stories interweaving families of feudal England. A great depth of love and Forgiveness are found in this compelling story. An excellent narrator. I can't wait to listen to the next in the series! This is a great read. The hero and heroine are both likeable. There's excitement mystery romantic tension from start to finish. 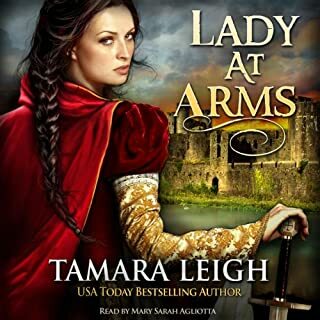 I have all of Ms. Leigh's medieval ebooks and audiobooks of which this one is an exciting story, especially narrated by Mary Sarah Agliotta. This audio book is well worth every penny/credit spent or time used to listen. What a dynamic story filled with intrigue, romance and adventure. It was a fun ride. Thanks Audible. 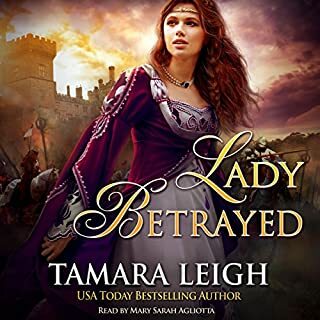 I am hoping you will soon release her new book "Lady Betrayed" as an audiobook. Everytime a piece of the story goes somewhere completely unexpected I am like, how did I not see that coming?? Love that old main characters play big parts as the series progresses. 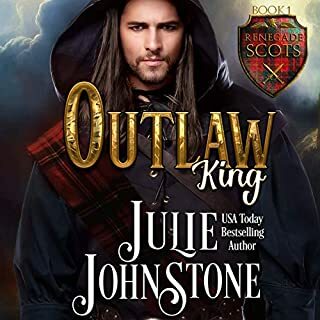 Christian Lavonne, the only remaining heir to the barony of Abingdale, has thrown off his monk’s robes—and God—to minister his lands. 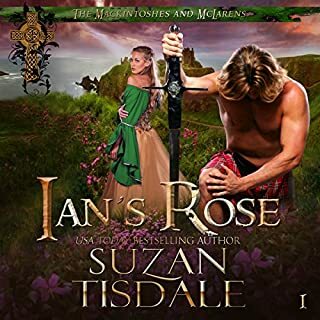 Determined to end the devastation wrought by his family’s feud with the Wulfriths, he agrees to marry his enemy’s sister, a woman no man seems to want. 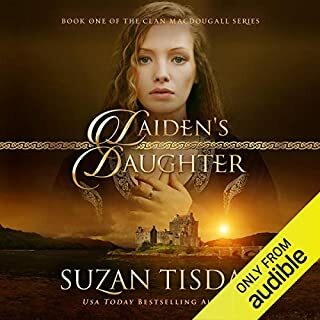 When he learns she has fled with a knight who has broken fealty with the Wulfriths, he pursues her, knowing that when they meet his own sin will be revealed and he will be as much in need of redemption as the woman who may carry another man’s child. Once again, great job by the narrator! Another great story from Leigh. It begins just before the end the previous book. It was nice to see so much of Christian and get into his head. Leigh's characters always carry so much garbage--like real people do. There's an element of insta-love here, but it's also set in a time period when love in arranged marriages isn't expected. I won't spoil by saying what happens. There's also a bit of the "if they would just talk, this problem could be resolved," but Leigh manages to add enough reasoning that it helped a lot. I'm looking forward to the next book. 4.5 stars out of 5.
loved this one, I am hooked on these books, can't get enough. so exited to start the next one I can hardly stand it! This series does not disappoint! 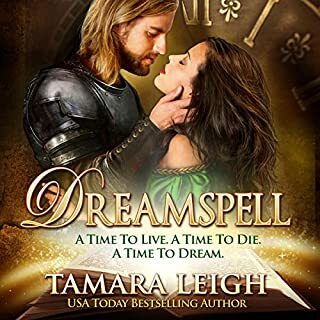 Tamara Leigh has brought another story around that gives pleasing results. From the first word to the last she’s had my attention. Mary Sarah with her dulcet tones and riveted reading kept me spellbound. Thank you Ladies for a beautiful cooperative effort. You are an amazing team. 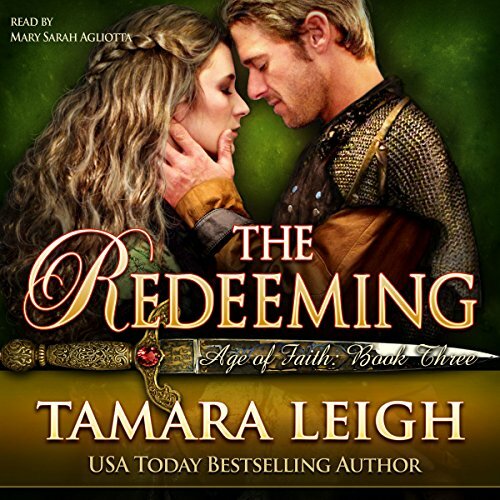 This third installment in the Age of Faith series is one of my favorites. I think it's because Gaenor is not flawlessly beautiful and the baton isn't perfect and handsome. Their relationship was founded on need and then grew from attraction to affection. Good plot with some tugged heartstrings. I thoroughly enjoy this book and LOVE the narration of the audiobook.